The turbojet is an endangered species– so what aircraft are left that still use it? 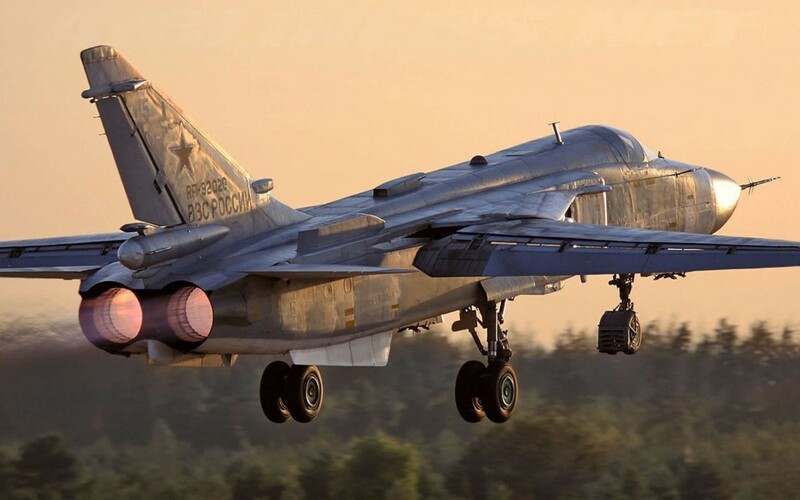 It is easy to think of the dwindling MiG-21 populations, and at a push the EA-6B – but you may be surprised to recall that the Su-24 and Su-25 both have turbojet engines. The ground attack mission, with its frequent long range and low-level operations, would seem to necessitate the use of turbofans. So while the West used turbofans on the A-7, Tornado, F-111, A-10 and F-15E, why on earth would the Soviet Union use fuel-thirsty turbojets on their equivalent aircraft? One reason why they employ this seemingly archaic powerplant is the turbojet’s unfussy tolerance of any kind of fuel, a blessing in the event of fuel shortages in war. The Su-25’s R-95Sh was designed to be able to run using different fuels, it can even run for four hours on ground vehicle diesel. The turbojet aircraft that has dominated the news this year has been the Su-25, but it is the engine of the Su-24 that we are looking at today, the Lyulka AL-21. Designed by Ukrainian Arkhip M. Lyul’ka in 1959-60, the AL-21 is a turbojet with a 14-stage axial compressor with variable stator blades. This engine powered the Sukhoi Su-17, the Su-24, early MiG-23s and (as a non-reheated variant) the Yak-38. The engine also powered the Sukhoi T-10, an aircraft that became with many modifications, the famous Su-27 ‘Flanker’. By 1982 nine ‘Flanker-A’ prototypes had flown, seven with AL-21F-3A1s and only two with Al-31Fs. The AL-31F which powered the definitive Su-27 was based on the AL-21F-3 which powered the Su-17/20 and the Su-24. It is interesting to note that Lyul’ka was aware of the turbofan concept as early as the 1950s, but politics got in the way of him being able to apply these theories in practice. Russian-born Dr. Pavel Aleksandrovich Soloviev was in a better position and it was his D-20P that became the first turbofan to enter service. The D-20P-equipped Tupolev Tu-124 entered service on 2nd October 1962 as the world’s first turbofan airliner. Today almost all jetliners are turbofans. Cessna T-37 is yet another long-lived turbojet. Cute little airplane with surprising ear-splitting noise!